This morning I had a comment from a reader that he deleted before I could reply to it. The gist, as I recall: Why shouldn’t a person take online classes as part of preparation for conversion? Reading it on my smartphone, I realized that I’d communicated something poorly. I flagged the question to answer when I got to my laptop – but then it was gone. I am grateful that this person’s question has prompted me to clear up some confusion. I’ve come out pretty strongly against online conversion to Judaism in two separate blog posts: Can I Convert to Judaism Online? and Online Conversion, Revisited. The very short version of my reasoning is that conversion to Judaism isn’t a private matter; a candidate needs to have a local community of Jews with whom to live Jewishly. Ideally, that community will have a rabbi with whom a candidate can work towards conversion. 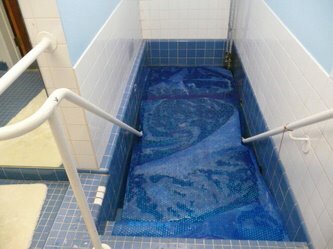 The process of conversion normally includes at least a year of living Jewishly, an Introduction to Judaism class, pastoral counseling and study with a rabbi, and significant Jewish involvement before one moves to the mohel, the mikveh, and the beit din to fulfill the requirements for conversion. The reason it takes so long is that once a person becomes Jewish, they and the Jews are stuck with one another. Kol Yisrael aravim zeh l’zeh: All Israel is responsible, one for another. This is a very big deal, not to be entered upon lightly. Anyone is welcome to take an Introduction to Judaism class online or offline. Taking the class is not conversion; it’s a step towards conversion, no more. I strongly recommend that anyone who wants the class to “count” towards conversion find the rabbi first and get their approval on it, lest you wind up having to take yet another Intro class, spending more time and tuition. I will confess to having a stake in this, since I teach an Introduction to Judaism class that is available online. The next starting point for that class will be in the spring, on April 3, 2016. It is a 24 session course, offered in three parts, and costs $270 for the complete series. I have had students who work with Reform, Conservative, and Renewal rabbis take my classes. If your rabbi would like to talk with me to consider whether the class is suitable for their process, I am happy to do that. However, I don’t sponsor candidates for conversion, on- or off-line. I’m not a congregational rabbi, and I firmly believe that it is best to convert into a Jewish community, not just “to Judaism.” If you are seeking a rabbi with whom to convert, be sure and check out their credentials. The acceptability of your conversion in various Jewish communities will depend on your rabbi’s credentials. There is no “ultimate” conversion: even if you go through an Orthodox conversion there will be some communities that do not recognize it. However, what you want is a rabbi whose credentials will qualify you for the Jewish community with whom you want to live. An ethical rabbi will explain to you the realities of conversion with that rabbi. So that’s the story. I teach Intro (I love teaching Intro!) and I do teach it online. I don’t sponsor people for conversion. My class is suitable for people studying for conversion provided their rabbi approves it, and it is also suitable for anyone looking for a basic Jewish education. If there is a synagogue in your area, check with them about Basic Judaism or Intro classes – they may offer live classes, and you’ll get to know the rabbi into the bargain. I hope this clears things up. And I do hope that the mystery commenter returns to read it, because it was a very good question! Posted on June 11, 2015 February 19, 2016 Categories Conversion, Especially for Beginners, Studying TorahTags classes, conversion to Judaism, Introduction to Judaism, Online classes, online conversion19 Comments on Online Conversion? Online Classes? Ask the Rabbi: Should I Keep Kosher? First of all, thank you for asking. It’s always good to ask. I have some questions for you before I answer directly, though. You say that you are in the process of conversion to Judaism. Are you studying with a rabbi? If you are, this is really a question for your rabbi, not for some random rabbi on the internet. Sit down with your rabbi and talk it through. If you don’t feel that you can ask your rabbi, then perhaps you haven’t found the right rabbi yet. Go meet some more rabbis! You need to work with someone with whom you can talk. If you do not yet have a rabbi, you need to get one. Saying “I’m in the process of conversion” isn’t really accurate; the first step is to find your rabbi, one with whom you feel comfortable and who is willing to work with you. It doesn’t matter how much you’ve read, how much you know, how many holidays you’ve celebrated: until you get yourself a rabbi, you have not yet gotten serious about conversion. A lot of the conversion process takes place within the relationship of rabbi and candidate. If you are not sure how to find your rabbi, I’ve written about it in Choosing a Rabbi. When you become a part of the Jewish people, you do so as part of a specific community of Jews. Different communities have differing customs. If you check out the kashrut (kosher) customs in several different Jewish communities, there will be differences. The sage Hillel teaches us “Do not separate yourself from the community.” You need to learn the customs of your community. So talk to your rabbi, and follow his or her guidance. suggest some reading about kashrut, and discuss it with you before you disrupt your kitchen and your household. caution you about taking on too much too quickly, and direct you to explore other mitzvot first. match you up immediately with someone in the congregation who is knowledgable and who keeps a kosher kitchen, so that you can learn from them. direct you to a class on kashrut and encourage you to get on with it. talk with you about your reasons for interest in kashrut and explore with you what observance might be right for you and fit in with your community. So there’s my answer for you: talk to your rabbi. If you don’t have one, get one. Conversion is a long complex process, involving growth and change in many areas, and you need more than an anonymous rabbi on the computer. You need someone with whom you are willing to be honest, and who can read body language as well as email. Make the most of your exploration of Judaism, and of the sacred partnership with your sponsoring rabbi. Good luck! Posted on February 2, 2015 July 29, 2015 Categories Ask the Rabbi, ConversionTags conversion to Judaism, Hillel, Kashrut, Torah4 Comments on Ask the Rabbi: Should I Keep Kosher? Are you interested in conversion to Judaism? Did you recently become a member of the tribe? BecomingJewish.net offers support and information for anyone seeking conversion or recently become Jewish. It has additional resources for users living in the San Francisco Bay Area. They have solid information about the process of becoming a Jew and about conversion outside the U.S. They also have first-person accounts by Jews by Choice about their own experiences. Their directory of rabbis is a resource for anyone “shul shopping” [looking for a synagogue] because it includes stories by people who have converted with each Bay Area rabbi, and who have gotten to know their rabbi well. If you want to get a taste of what the rabbi at Beth Somewhere is like, this is a great way to do it. Full disclosure: The site is staffed by my dear friend Dawn Kepler (who mentored me through conversion) and my spouse, Linda Burnett. But seriously, even if I didn’t love the people running it, this is a great resource! Are you ethnically Jewish, or culturally Jewish? A religous Jew, or a secular Jew? In all the loaded discussions of “who’s a Jew” we sometimes lose sight of the many ways that one can be Jewish. Ethnically Jewish – Do you have a parent who’s Jewish? For much of the Jewish world, that question is worded: Is your mother Jewish? The American Reform Movement broadens that to “a Jewish parent,” provided you were also educated as a Jew. Another way to say it is that they have “Jewish blood” or a “Jewish heritage.” Judaism actually includes many ethnicities: Sephardic, Ashkenazi, Persian Jewish, Iraqi Jewish, Ethiopian Jewish, Yemenite Jewish, etc. 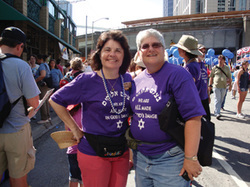 A person who is ethnically Jewish might or might not feel much connection to other Jews. Culturally Jewish – Is there some aspect of Jewish culture in which you participate? Does your family mark Passover with some kind of seder? Do you belong to anything Jewish? Do you give to anything Jewish? “Cultural” implies some kind of participation in a culture. “I eat bagels” doesn’t quite do it – a Baptist in Omaha might eat bagels. But do you perk up your ears and feel a sense of kinship when you find out that such-and-such a movie actor is Jewish? Did you have a visceral reaction to the news about Bernie Madoff – did you feel linked to him, even though you never met the guy? Secular Judaism – “I’m Jewish but not religious.” There’s a long tradition for secular Judaism. Sometimes Christians are puzzled by Jews who don’t go to synagogue or don’t believe in God but who feel fiercely connected to the Jewish People. That’s because Judaism is more than a religion, it’s also an ethnicity, a culture, a whole civilization and worldview. Secular Jews are no less Jewish than their religious cousins, and many are no less serious about their Judaism. Many of the founders of the State of Israel were (or are – a few are still alive) secular Jews. Religious Judaism – In general, Jews who attend services, observe religious holidays, etc, although you’d be surprised at some of the overlap with other groups. Some synagogue goers go for the Jewish culture available there, not for religious content per se. There’s a joke that circulates about a man who goes to daily minyan and who tells a story about his friend Abe: “Abe goes to minyan to talk with God. I go to talk with Abe.” Synagogues were the first Jewish cultural centers, and they continue to fill that role for some Jews today. But there are also Jews who believe in God, who have lively spiritual lives, and some of them go to synagogue – and some don’t. Go figure. There are also an increasing number of people in our communities who have been with us since Biblical times: people who live with Jews even though they themselves aren’t Jewish. Generally they find their way to us because they love someone Jewish. Some eventually choose to become Jewish; some have good reasons for not converting. But it is important to remember that in every gathering of Jews, there will also be some people who weren’t “born that way,” and others who are with us for love. Some raise Jewish children, and thereby participate in the Jewish future. At any rate, whenever you are in a Jewish community, remember that they are part of us, too: the Book of Ruth reminds us that King David had a Moabite great-grandmother. How do you identify Jewishly? Do you find these labels useful, or limiting? Posted on March 25, 2014 March 6, 2019 Categories Conversion, Interfaith, Jewish DiversityTags conversion to Judaism, culturally Jewish, ethnically Jewish, interfaith, religious Jew, secular Jew6 Comments on What Kind of Jew are You? 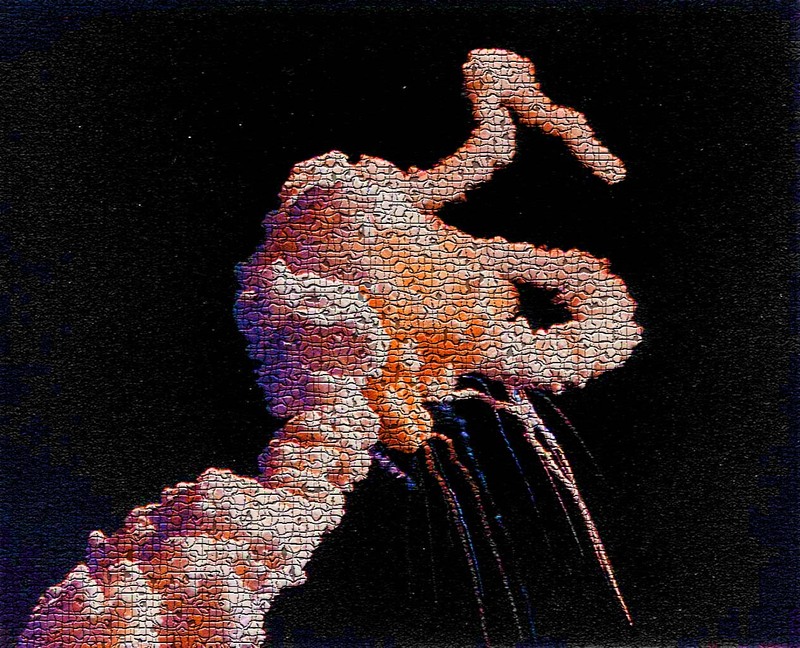 A post on Twitter just reminded me that today is January 28, the anniversary of the Challenger disaster in 1986. It’s a personal anniversary for me. I heard about the explosion on the radio as I was on my way to teach a class at Memphis Theological Seminary. I recall that my lecture that day was on the Iconoclast Controversy. I was a teacher and student of the history of Christianity. Officially I was an Episcopalian, teaching Cumberland Presbyterian seminarians, and the fact that my contract specified that I was there to “teach, not preach” (using the language of Paul of Tarsus about proper roles for women) was actually a comfort to me. I was dimly aware that I could talk very confidently about history, but not so confidently about my own faith. We began class with a prayer for the souls on the Challenger; I asked one of my students to lead the prayer, honoring my “teach, not preach” agreement. Then we dived into the intricacies of 9th century Byzantium and the fine distinctions between idols and icons, idolatry and worship. A student asked me to clarify a detail of Byzantine Christology. As I gave him the proper answer, making the distinctions clear, a still small voice in my head pointed out the obvious: You don’t believe this stuff. Any of it. Why are you teaching it? I paused for a moment, reminded myself that I had a contract, and returned to the lecture. Like the Space Shuttle, my sense of myself exploded that morning. I could no longer call myself a Christian. I finished out the term and spent almost ten years trying to figure out where I belonged, longing for a spiritual home I could not name. Eventually I stumbled into a synagogue, long after I’d given up on belonging anywhere. That’s another story.